I love creamy soups. They’re just so comforting and warming! And I’m just beginning my love affair with Green Chiles. The longer we live in New Mexico, the worse it will get, I’m sure. Right now it’s manifesting itself in this Green Chile Corn Chowder. 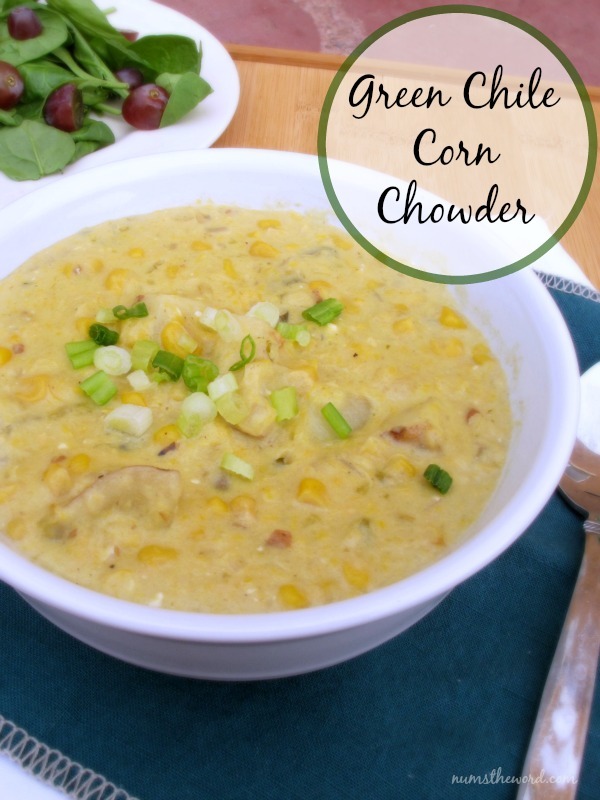 This is a pretty basic corn chowder, except taken to the next level of goodness. I found this recipe, but it involved jalapeños and other peppers as well. I decided I wanted to try it with green chiles. Mostly because I had green chiles (I always have green chiles on hand), but also because I knew it was going to be great. And I was right. 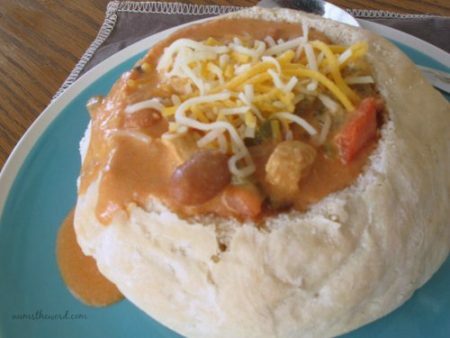 It’s creamy and spicy and full of warm, filling numminess. Was that enough adjectives for you? I hope so. Maybe because here in New Mexico fall also means chili roasting season, but this soup really seems like fall to me. This was truly delicious. 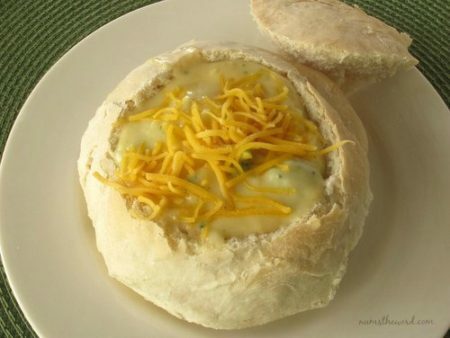 My whole family loved it and it reheated really well the next day. Heat skillet over medium heat. Spray with cooking spray and then cook the corn for a few minutes until fragrant. Place half of the corn and 1 cup of broth in the blender and blend until smooth. In soup pot, heat the oil over medium-high, then add the butter. When the butter foams, add the potatoes, onion, celery, garlic, cumin and bay leaf. Reduce heat to medium, partially cover and cook until the vegetables soften, about 10 minutes. Add the kernels, corn puree, remaining 2 cups broth and green chiles to the pot. Bring to a boil, then reduce heat to medium and simmer about 15 minutes, or until the potatoes are tender. Stir in the cream cheese until melted. Season with salt and pepper. 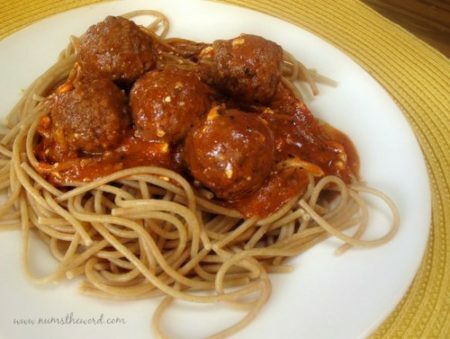 Not your typical spaghetti. With 5 awesome ingredients and 30 minutes you’ve got an amazing meal. 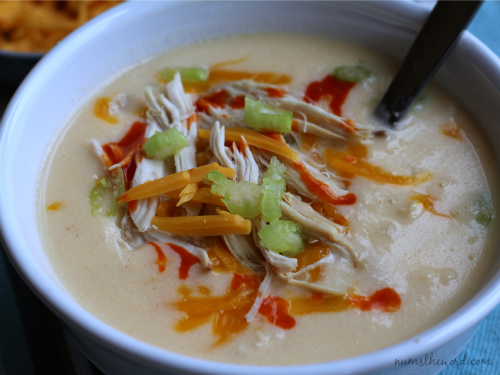 Even with the jalapeños, the whole family loved this soup full of chicken and peppers and cream cheese goodness! So excited for “soup season” and this sounds amazing!